I took my daughter’s to see Pixar’s newest film at the weekend. My (spoiler-free) thoughts are after the line.The general premise is that everyone is guided by embodiments of 5 emotions in their heads. The film shows these emotions in a brightly-coloured control room where they see what their person sees and they react as they see fit and the story follows the emotions of an 11-year old girl who’s normal mental state is disrupted by events in her life. It sounds awfully dry when described in that vague, spoiler-free way but that’s the exact opposite of what the film is like. The vibe is vivacious and playful and the emotions are brilliantly realised; they embody what they represent perfectly without being one-dimensional and dull. Disney Exec : So what’s the next film from you guys? I could really use another sequel to be honest, I need a yacht with a bigger helicopter pad. Pixar Dude 1 : We’ve got a great idea about a girl going through a difficult period in her life. Pixar 1 : Actually, we don’t want to focus on her for the story. We want it to be about her emotions. Exec : Really? But what are you going to show? Pixar 1: The inside of her head. With all her emotions using a big, sci-fi control panel. 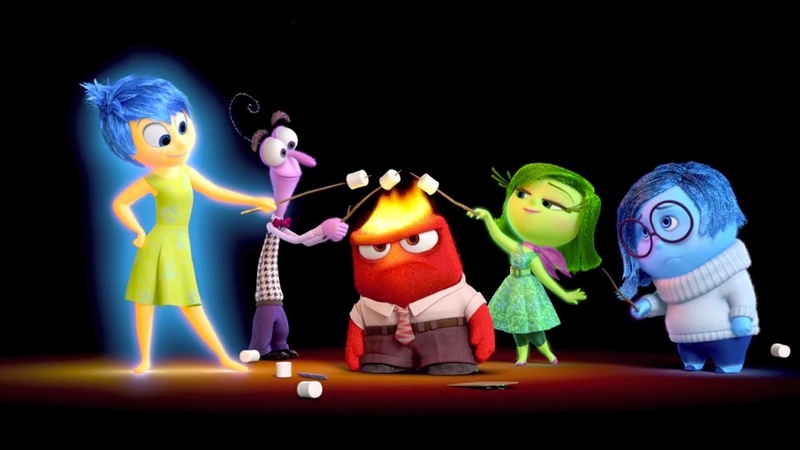 Pixar 1 : We’re going to show how they react to what’s going on and how the emotions interact and change her behaviour. Pixar Exec 2 : It should be pretty funny! Imagine anger rowing with fear about how to deal with something stressy! Exec : So some of the movie is an abstract representation of her thoughts? Really? Pixar 1 : Pretty much all of it will be. And we’ll look into dreams and the sub-conscious too! Pixar 2 : Don’t forget about abstract thought’s and concepts! Pixar 1 : Oh yeah, we’re going to dip into all that too. It’s emotions having a road-trip in someone’s mind! Disney Exec : That’s it, no more hallucinogens during coffee breaks . 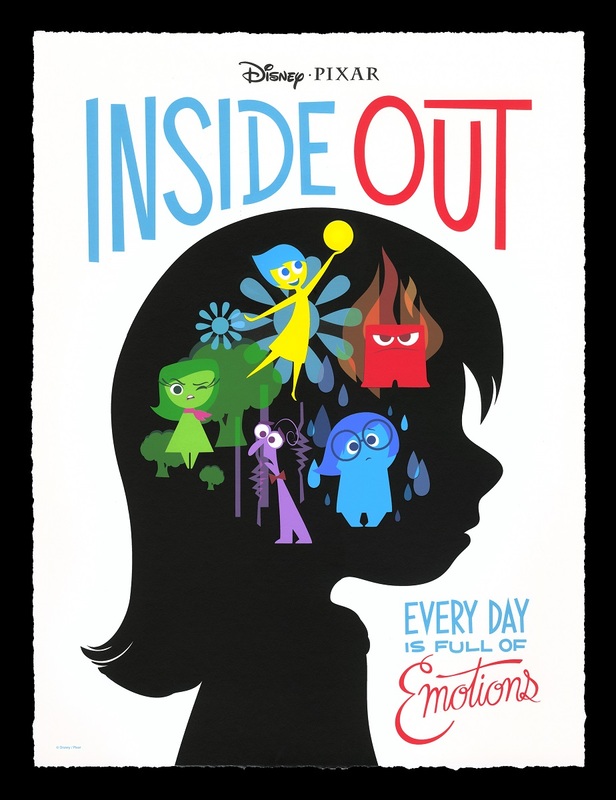 Pixar show many of the more abstract parts of consciousness (memory, dreams, abstract thought, creativity) and manage to pitch it so that it’s all approachable and fun while still making all these real ideas understandable. Some of the concepts in there are pretty cutting-edge too; for example the idea that your memories are not immutable is fairly new. Apparently they can be altered by your current emotional state. They cleverly tie this in to one of the main driving forces for the story; everyone’s personality is in constant flux and that isn’t in any way a bad thing. The film funny and exuberant but there’s plenty of pathos in there as well; maybe more so for parents as it deals with a child growing up and putting aside parts of her character that were vital when she was young but are replaced with new experiences as she grows. It’s a great film; the time flew by and we were always waiting to see where the story was going to take us next. The end has some genuine tension and the resolution is brilliant; messy and complicated but everything resolves. For now (Riley turns 12….). The audience was a a diverse bunch when we saw it and everyone loved it. A fantastic, clever and imaginative film.